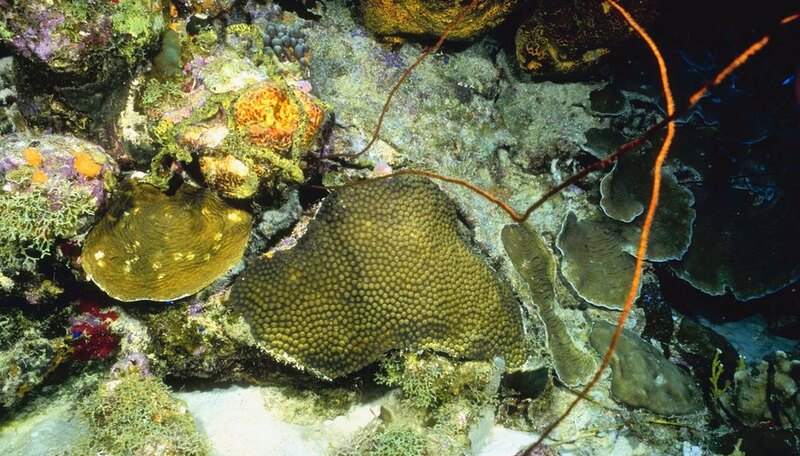 The ocean floor can be as foreign to students as the moon's surface. According the Office of Naval Research, the ocean floor is actually similar to the land on Earth, with mountains, valleys and even volcanoes. To learn more about the characteristics of the ocean floor, assign a fifth grade ocean floor project. Students should recreate ocean landforms and add in appropriate sea creatures to a box diorama. Around nearly each continent is a continental shelf, which is a shallow land extension into the ocean. Typically no more than 33 feet deep, it's shallow in comparison to the deep ocean, which is thousands of feet deep. 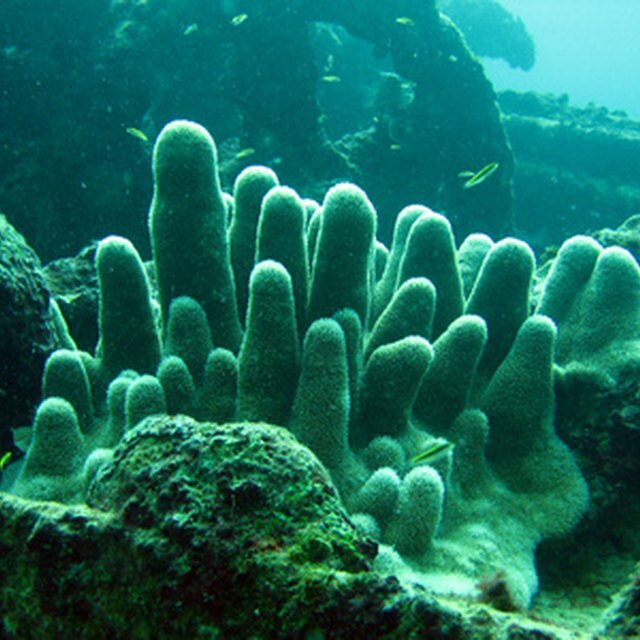 Land erosion feeds into the continental shelf, and it contains the highest number of plant and animal life on the ocean floor. The continental slope begins at 430 feet and connects the shelf to the continental rise where sediments accumulate from the shelf, then it drops down into the deep ocean. Use a medium sized cardboard box for the ocean floor project. Construct a diorama in the box with all the parts of the ocean floor, such as the continental shelf, continental slope and continental rise. Use colored play dough to build these landforms. Use construction paper, paint and paintbrushes for the sea life shapes. Tape the bottom of the cardboard box so that it's secure and cut off the top flaps of the box with a utility knife. Place the box on one of its long sides so that you can easily look into the box as a diorama. Paint the interior of the box with a light blue color to represent the ocean water. Paint the exterior of the box white. After it dries, paint sea creatures such as fish and sharks on the blue interior so that it looks like they're swimming in the ocean. Press brown play dough onto the bottom front of the diorama to represent the continental shelf. It should be high up from the bottom, since this is where the ocean is the most shallow. Add more play dough sloping downwards for the continental slope, which begins at 430 feet. Then use lighter play dough for the continental rise and dark play dough for the deep ocean. Cut out more sea creatures from construction paper. Hang them from the top interior of the diorama with string so that it looks like they're swimming in the ocean. Write small labels to diagram the project. Chow, Charong. "Fifth Grade Ocean Floor Project." Sciencing, https://sciencing.com/fifth-grade-ocean-floor-project-12001489.html. 25 April 2017.